View photos of participants and those cheering on riders during the 2017 Iron Horse Bicycle Classic. Photos by Shaianne Ganey. 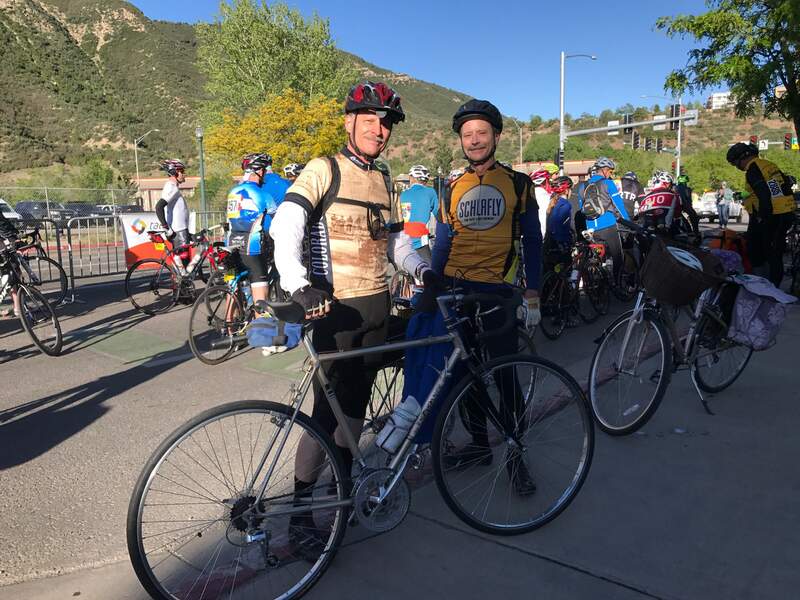 Adam Rothermich traveled from Kansas City, Kansas, with his wife to participate in the McDonald’s Citizens Tour to Silverton with more than a thousand others at the 46th annual Iron Horse Bicycle Classic. The cyclists, a diverse mix of locals and out-of-towners, were buzzing with excitement and nerves at the starting line under a sunny sky Saturday morning. Standing in the shade of a tree, Rothermich, 30, admitted he wasn’t sure what he was getting himself into. He made the drive to Silverton a few days earlier to get a feel for the course. “My hope is that the scenery is pretty enough to focus on so I won’t pay attention to the fact that I’m suffering,” he said. Despite being a five-year cyclist, Rothermich said he’s never biked anything quite like the road to Silverton with its two mountain passes. He was nervous to start but looking forward to meeting up with his wife in Silverton. A love for trains got 78-year-old Steve Seccombe interested in the Iron Horse Bicycle Classic. The Van Nuys, California, native moved to Colorado with his wife after a series of hunting trips made him fall in love with the state. “My wife, Gwen, got me into racing,” Seccombe said. She was waiting for him in Silverton with her own bike. Seccombe now lives in Nathrop and participates in the Iron Horse every year. He believes this was his 10th race, but confessed he’s lost track. He was thankful for the beautiful weather, remembering the treacherous roads to Silverton in past years. “Going down those passes can be a white-knuckler, especially in bad weather. It should be nice today,” he said. Three friends, all first-time riders in the Citizens Tour, huddled together by Wells Fargo before the start of the race. 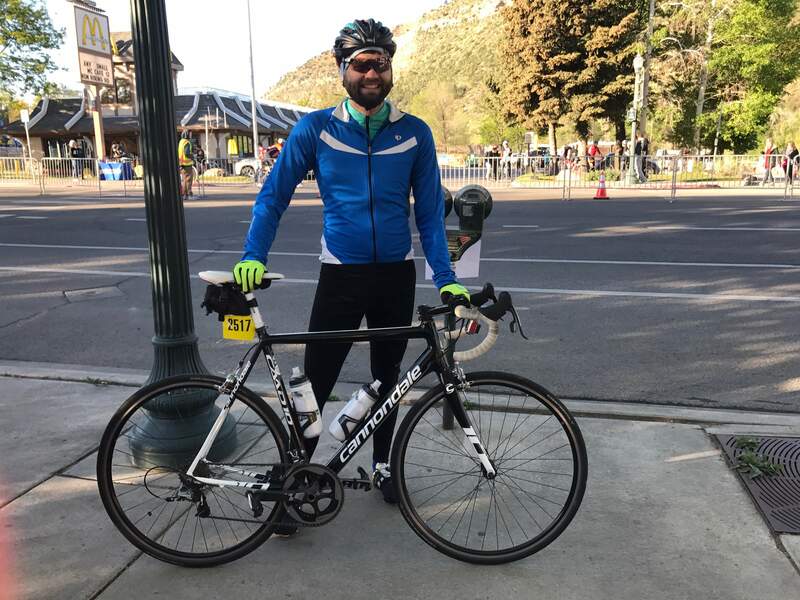 Paul Regalado, 35, participated in the mountain bike race in the 2016 Iron Horse Bicycle Classic. That led him to convince his friends to ride in this year’s Citizens Tour. “This is a really great event that Durango puts on. I’ve never seen anything else like this, I love it,” he said. He was joined by Gina Corliss, 48, and Jerry Corliss, 41. The trio came up from Ruidoso, New Mexico, and frequently participate in events around Durango. “I’m definitely nervous,” Gina Corliss said, but the group agreed that they love visiting Durango and look forward to biking here. Durango resident John Mummery, 54, was back for his third time in the Citizens Tour. Joining him was first-timer Brian Pugh, 38, from Oklahoma City. “The unknown of the mountain sort of scares me because I’ve never done this before. It is definitely lower in elevation where I come from,” Pugh said. Mummery was nervous too, despite his previous Iron Horse rides. “I didn’t think I’d be nervous this year, but I am. Every year, you feel the nerves at the beginning of the race ... When the train approaches and sounds the whistle to start, it is a rush. This is the most unique ride you can get,” he said. 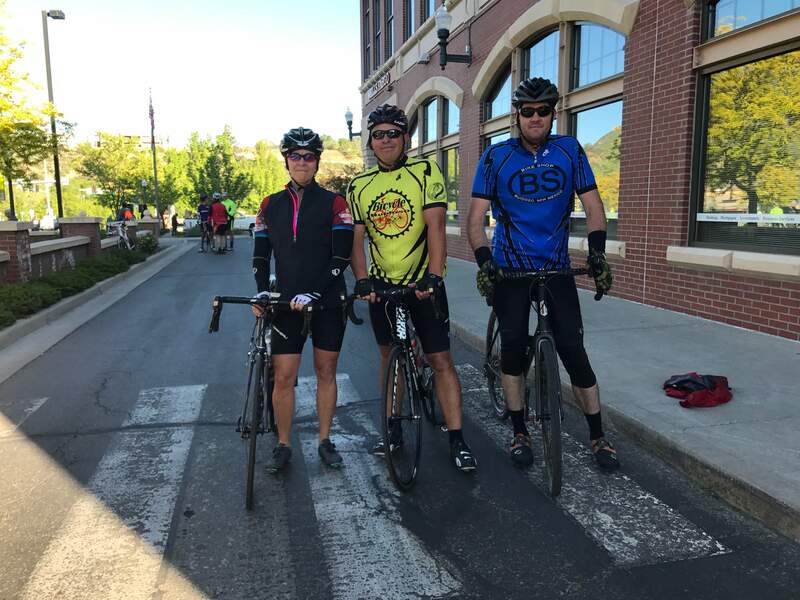 Brothers Don and Keith Gawlik were part of the inaugural Tailwind Nutrition Beat the Train Challenge with pacing guidance from Iron Horse legend Tom Mayer, who challenged his brother, Jim, who worked on the train, to a race to Silverton in 1971. “If we can keep up, we’ll beat the train ... we are making an effort to keep up with a 69 year old,” Don Gawlik said of Mayer. As of Tuesday, 1,840 people had signed up for the Citizen’s Tour. At the sound of the whistle and with veterans waving from the train, riders of all ages poured onto Camino del Rio from College Drive. 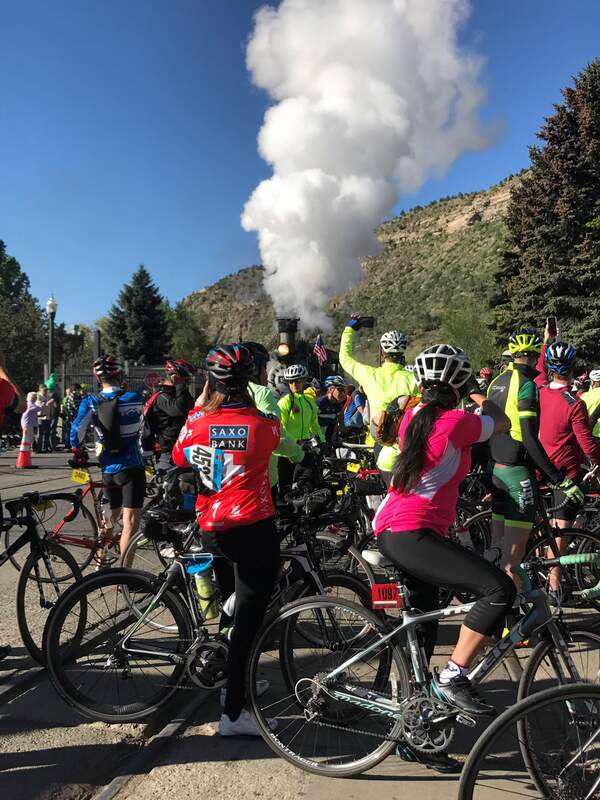 The Durango & Silverton Narrow Gauge Railroad train heads out of the station Saturday morning in a race with bicyclists to Silverton. The train was free for veterans, Gold and Blue star parents and families and people on active duty in the military. A Memorial Day ceremony was held in Silverton before the train started the 3½-hour return trip to Durango. 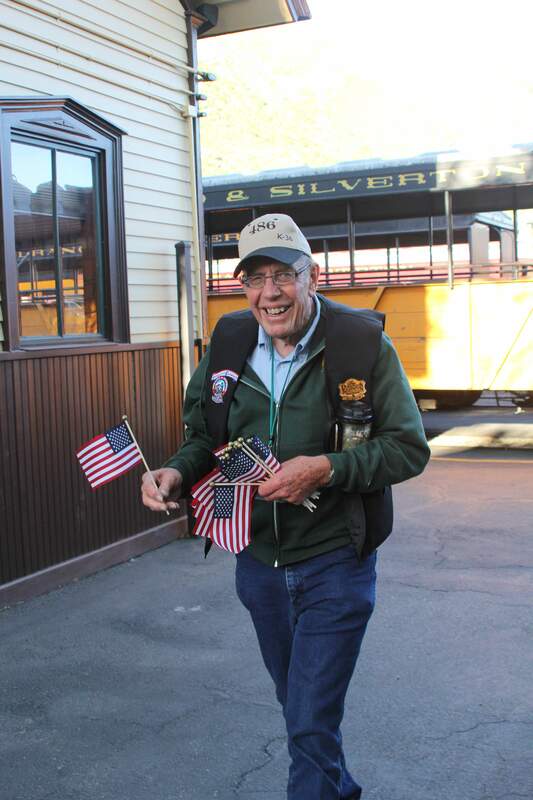 A veteran carries flags to the Durango & Silverton Narrow Gauge Railroad train that raced cyclists to Silverton. Cyclist Adam Rothermich poses with his bike at the start of the McDonald’s Citizens Tour to Silverton in the 46th Iron Horse Bicycle Classic. 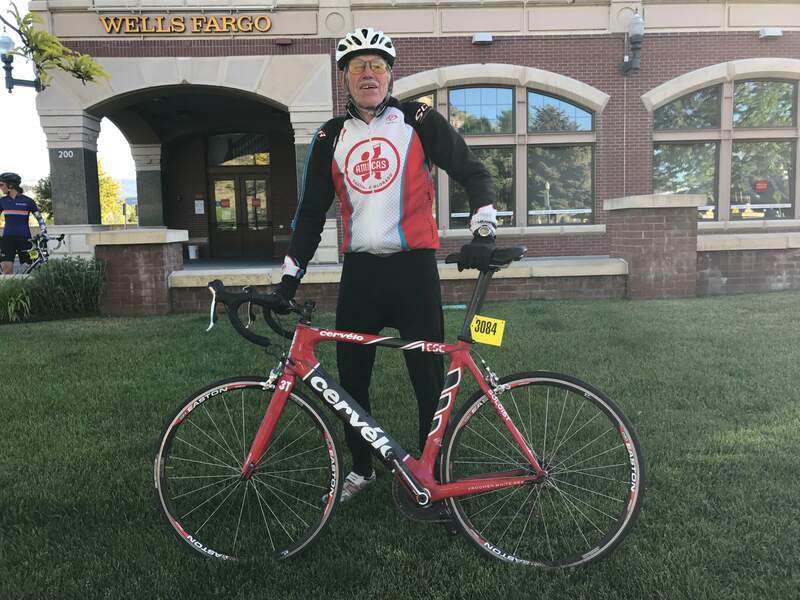 Train enthusiast Steve Seccombe, 78, is a 10-time participant in the Iron Horse Bicycle Classic. From left to right: Gina Corliss, Jerry Corliss and Paul Regalado. The trio traveled from New Mexico for their first McDonald’s Citizen’s Tour to Silverton. Brian Pugh, left, and John Mummery at the start of the McDonald’s Citizens Tour. 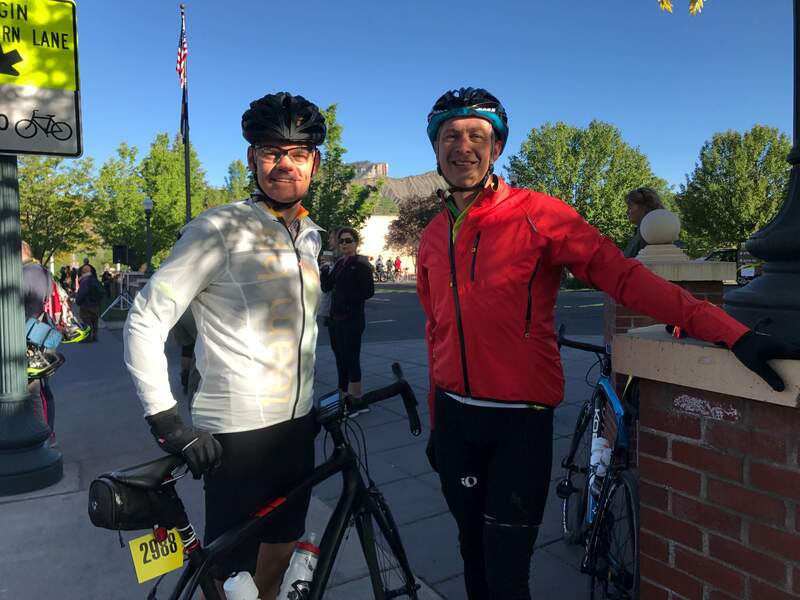 Brothers Don Gawlik, left, and Keith Gawlik stand with the Tailwind Nutrition Beat the Train Challenge team at the starting line of the McDonald’s Citizens Tour to Silverton.